Jason graduated from the University of Wisconsin-Madison with a B.A. in Communication Arts. He began brokering investment real estate in 2001 as an apartment sales specialist. He achieved top producer awards at a national firm before he founded Equity Pacific Real Estate LLC in 2006. With over 15 the years in the Portland Metro Jason has gained knowledge of the market. With this he works closely with each client to carefully craft the right investment strategy to fit their needs. I love The Frances Building because it is an historic unreinforced masonry building on the National Historic Registry and a Portland Landmark. It is truly an amazing opportunity to invest in an historic property and one of Portland’s most well-known locations. Located directly across the street from the iconic Bagdad Theater at SE 37th & Hawthorne, the Frances Building was built in 1911 and features 7 apartments on the 2nd Floor above 3 commercial spaces facing Hawthorne on NNN leases, along with the Echo Theater. The Frances Building presents multiple opportunities depending on the buyer, from maintaining or improving the existing interiors, or as an adaptive re-use opportunity to convert the Echo Theater and the upstairs apartments to creative office space which would better monetize the building to maximize its potential return on investment. The sellers had this property in their family for more than 30 years, and the buyer had made consistent offers to the owners over several years. In 2015 the sellers indicated they were finally open to a deal, and the buyer placed the property under contract. The property had great bones, however it needed a total rehab, so I worked closely with the buyer and their lender to help achieve a construction loan that enabled a comprehensive property modernization. The building was gutted to the studs and re-built with all new roof, siding, plumbing and electrical, as well as new sheetrock, cabinets and interior finishes. The end result is truly a pride of ownership property in an excellent neighborhood that the buyer will own for generations to come, and the seller achieved a higher price than was supported by the in-place income due to rents being well below market at the time. Situated in the Alphabet District of NW Portland, the Embassy was built in 1925 by famed architect Carl L. Linde and is one of Portland’s best examples of Georgian style architecture. The Embassy is a Portland Landmark listed on the National Historic Registry and an excellent example of a by-gone era of craftsmanship. Owned by the Dahlke Family for generations, The Embassy sold to local developer Robert Ball in 2003 who converted the apartments to condominiums. It was at the time my largest deal and one of the most notable sales of 2003 as an era of condo conversion was ushered in, and I learned valuable lessons working with the principals and making sure all the little details of a transaction are handled to ensure a smooth closing. This was a text book example of how I’ve helped many of my clients significantly increase cash flow. I sold a vintage 4-plex located at 2431 NE Halsey Street to some great clients in July, 2013. They did a nice job improving the units and increased rents by several hundred dollars per unit, ultimately though it didn’t provide them with the cash flow they desired. In early 2016 I crafted a strategy that would enable them to 1031 exchange into a larger property for better cash flow. We listed and sold the 4-plex for $805,000 in April, 2016 and began targeting secondary and tertiary markets with more units and stronger cash flow. 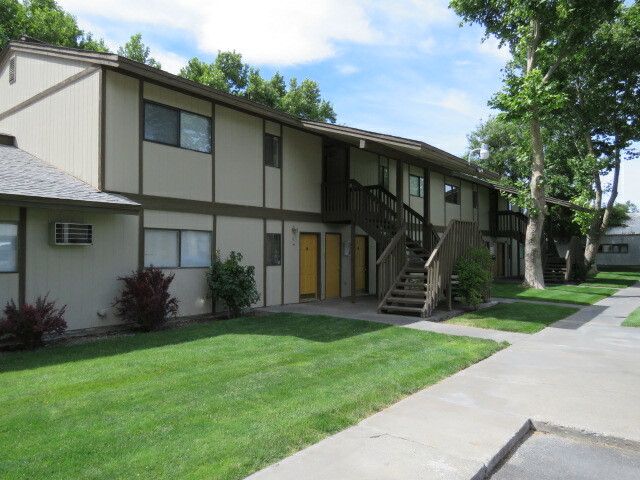 One of the potential exchange properties I sent them was a 26-Unit in Hermiston, which was exactly what they were looking for. They not only doubled their cash flow, they literally tripled it! They just don’t make them like Belmont Court anymore! This steel bar reinforced concrete building at the corner of SE 14th & Belmont was in the same family for decades before selling in September, 2007 for $3,250,000. Built in 1937 the building was in good shape when it sold, however the buyer invested heavily in modernizing the building during the first few years of ownership and transformed Belmont Court with a top to bottom renovation with all new plumbing, electrical, oak hardwood floors, and completely new kitchens and baths. Following the sale I helped the seller do a 1031 exchange out of Belmont Court into a larger, newer property, and the today buyer continues to benefit from the improvements made by achieving some of the strongest rents for Studios and 1BRs in close-in Eastside Portland.